Home » reading » What Is Truth? Even though the Soviet Menace has long since disappeared, I am still a devotee of spy fiction. These days, it’s harder to find a spy service that is a worthy adversary for the great British agents of MI-5 and MI-6. Oh, Vladimir Putin is still around; and he is a bona fide graduate of the KGB Academy; but the situation has morphed beyond recognition since the old Marxist-Leninist days. The one constant in the genre is the frangibility of truth. Who is it that decides what actually happened? I have just finished reading Len Deighton’s Spy Line, which ends with a scene on the autobahn in East German territory. There are two KGB men killed; one British agent; the sister-in-law of the book’s hero Bernard Samson; leaving behins Samson and his wife, who had defected to the Soviets and was returning to the West; and one man named Turkettle, who appears to be a CIA asset who has reputedly performed assassinations for the Soviets. Amidst this confusing welter, a British agent must try to make sense of all this so that he can get his “K” (Knighthood). He has to construct a plausible truth while the survivors of the incident have their own reasons for hiding facts. Erskine Childers: The Riddle of the Sands (1903). Spying on the German naval buildup leading to WWI. W. Somerset Maugham: Ashenden (1928). Made into a film by Hitchcock called The Secret Agent (1936). Ian Fleming: From Russia With Love (1957). Very fanciful, but great fun. Graham Greene: The Honorary Consul (1973). Set along the border between Argentina and Paraguay. 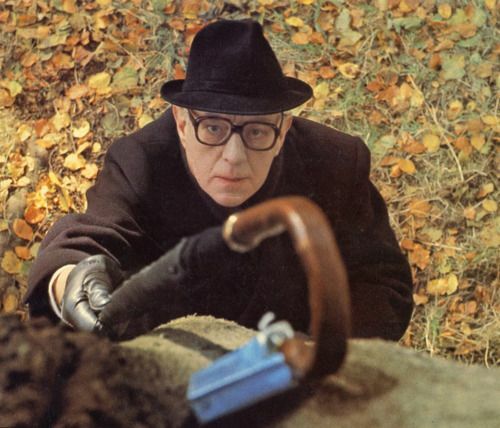 John Le Carré: The George Smiley novels, particularly Tinker Tailor Soldier Spy (1974). Adapted into two films, of which the 1979 BBC series with Alec Guinness was the better. If any others come to mind, I’ll expand this list in the future. This entry was posted in reading and tagged john-le-carre, len-deighton, spy-novels. Bookmark the permalink.